At only 28 years old, it is safe to say that Zatorksi easily has at least another Olympic Games and WCH in his future. With that certainty, fans can be reassured that Poland’s backcourt will be at an elite level as long as he is around. Take care of business they did, despite Argentina coach Julio Velasco‘s begging and pleading one day before for his team to face this game as a must win situation. Deroo himself led the way with 21 points while Facundo Conte had 12 points in the losing effort. Belgium hit the ball at at 57% efficiency, while Argentina hit 50%. The biggest difference though was on the defense side of the court, as Belgium blocked an astounding 15 shots to Argentina’s 8. Next up for Belgium will be hosts Italy while Argentina will go on to face the Dominican Republic. Slovenia came back from behind to net an important win against the Dominican Republic. Five Slovenian players scored in double figures, led by Tine Urnaut‘s 18 point night. Henry Capellan had 12 points in the losing effort. Slovenia hit 58% from the field compared to Dominican Republic’s 41% team effort. 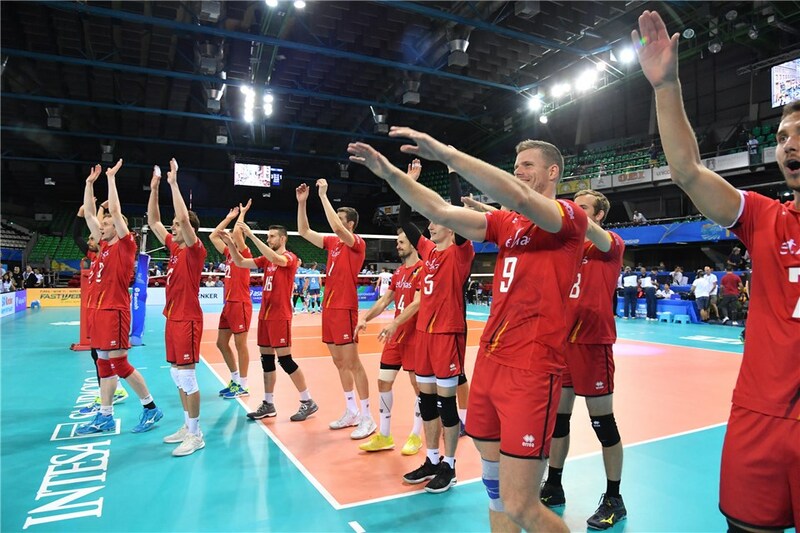 Slovenia also scored 13 aces to its opponent’s 1. Next up for Slovenia will be Japan while the Dominican Republic will go on to face Argentina.